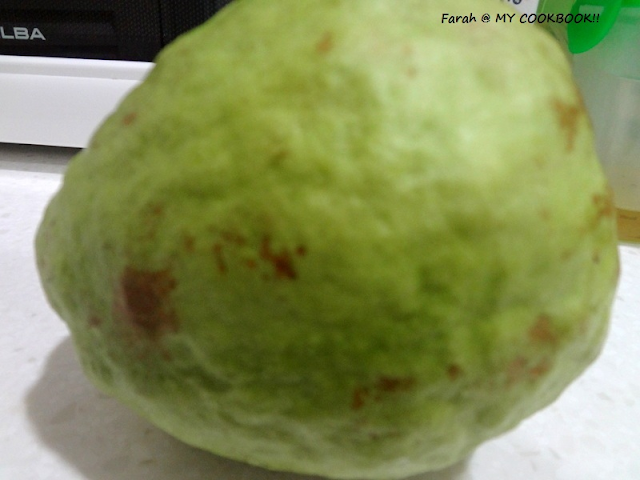 I had this huge guava staring back at me each time I opened the fridge door. I had asked my husband to buy me some papaya on the way back from work. He came back home with 2 HUGE guavas!!!?????? LOL....MEN!!! 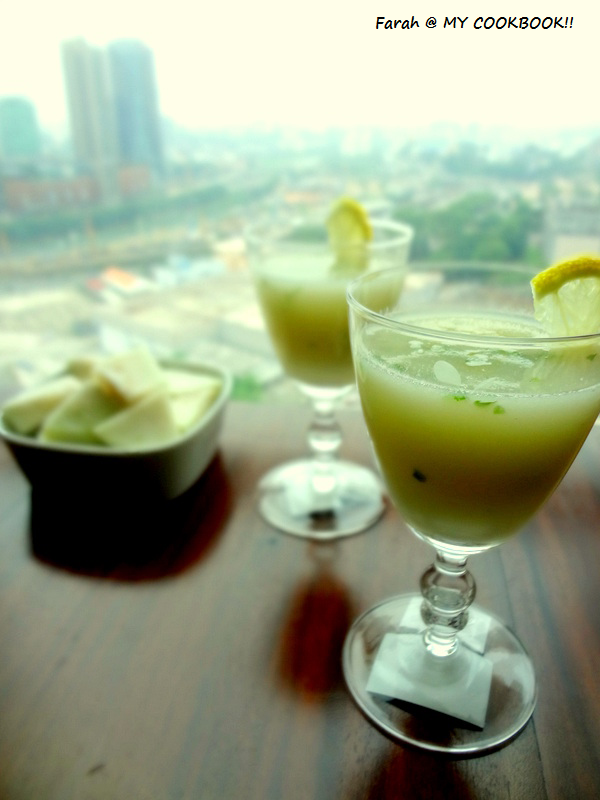 blend the guava, mint leaves and water till you can see no more lumps. To the juice, add the lemon, orange juice. salt and sugar. 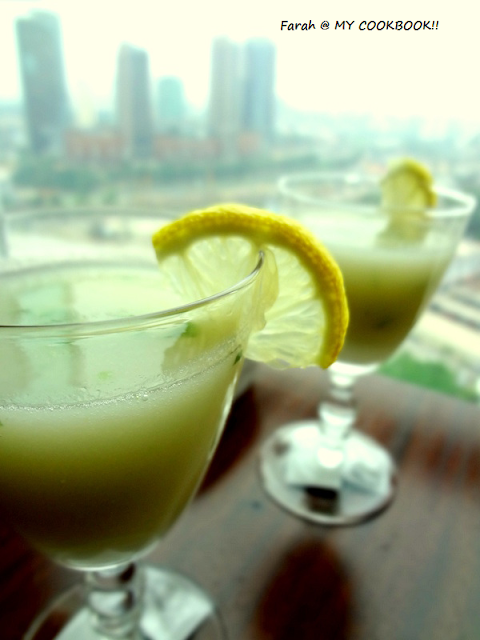 One mistake I made was not blending the mint leaves while making this drink. I simply added it to my drink. As a result I had mint leaves in my mouth each time I took a sip. 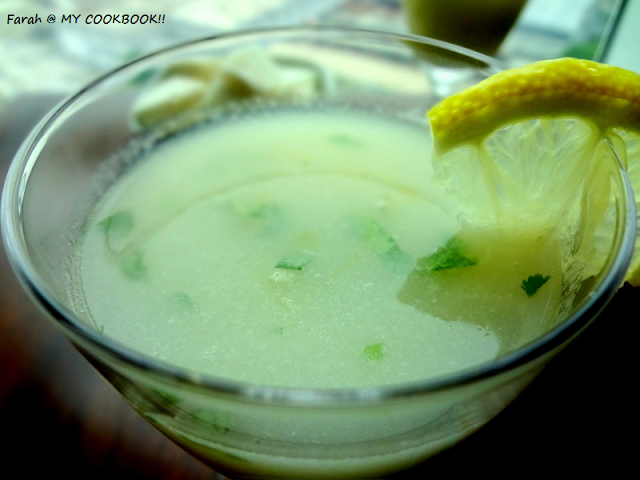 you can also add crushed ice while blending. Looks so cool, love the mint flavor..